Did you know that the average renovation rings up to a tune of $51,000, according to data extracted from projects and contracts on Qanvast? 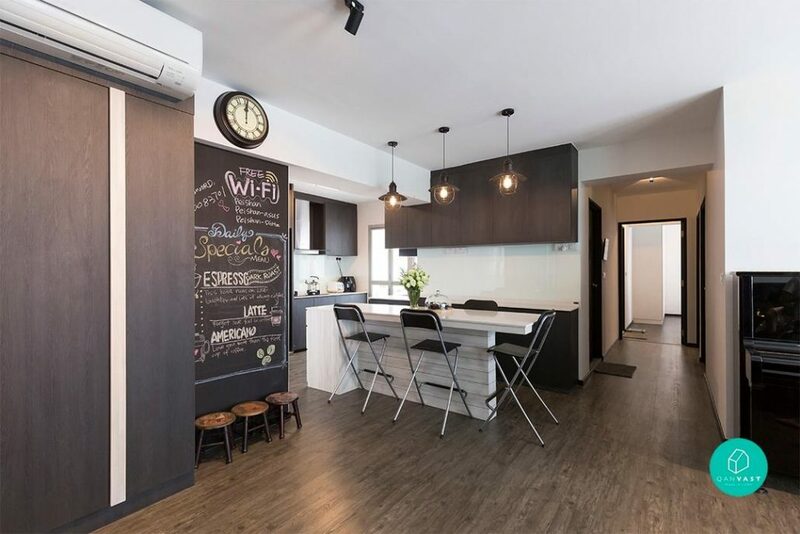 But don’t let that faze you – just as we’ve seen amazing makeovers with five-digit budgets, we’ve seen gorgeous spaces put together on super tight budgets! To help you do just that, interior designers William from Authors Interior & Styling and Eric from Space Factor dish in on 9 money-saving budget hacks that can potentially save thousands of dollars. 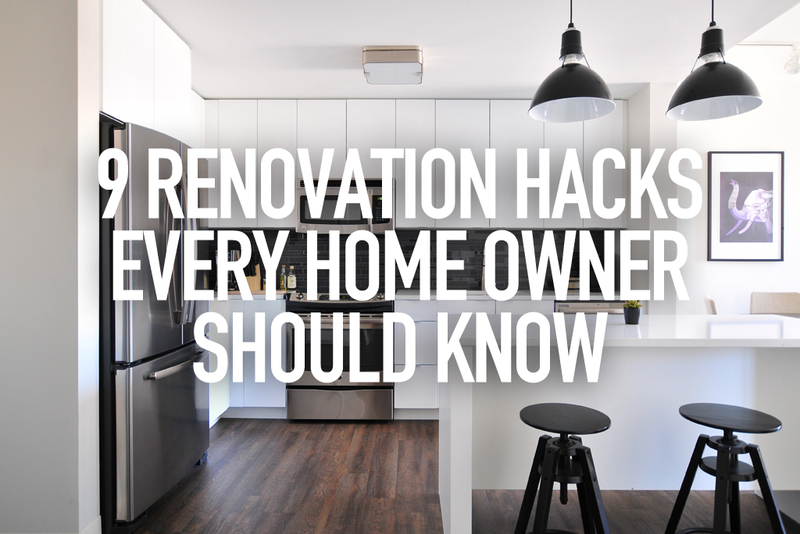 Think about which works are most important, and split your house’s renovation into different phases – while this won’t help you cut costs, it’ll help plan and pace your finances! But how do you consider what’s important and what’s not? “Built-in works for areas like your kitchens and wardrobes, painting and electrical works should be done up first, as they can be very troublesome (and messy) to work on once you move in,” suggests William. 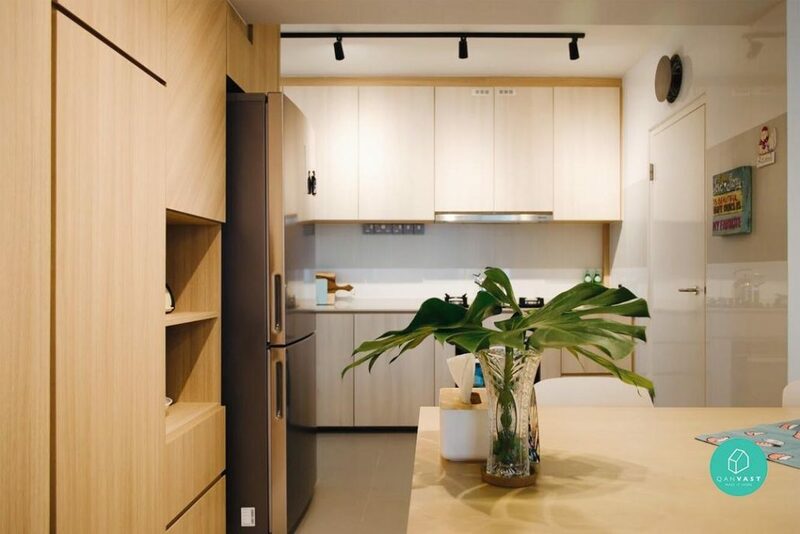 Unlike BTOS, unforeseen costs abound when you renovate an older, resale unit – such as dismantling existing built-ins, maintenance works for wear and tear, and incompatible components (e.g. tearing out and installing new air-con piping). Homeowners are recommended to set aside a buffer of ten to twenty per cent of their budget. “Many homeowners forget to take these ‘hidden’ costs into consideration when budgeting for their resales, and are shocked when those bills accumulate to the thousands,” says Eric. What’s the take home? It’s prudent to set aside an allowance just for any surprise issues. And if there’re none (lucky you! ), at least you’ll have spare cash for furnishing and appliances. 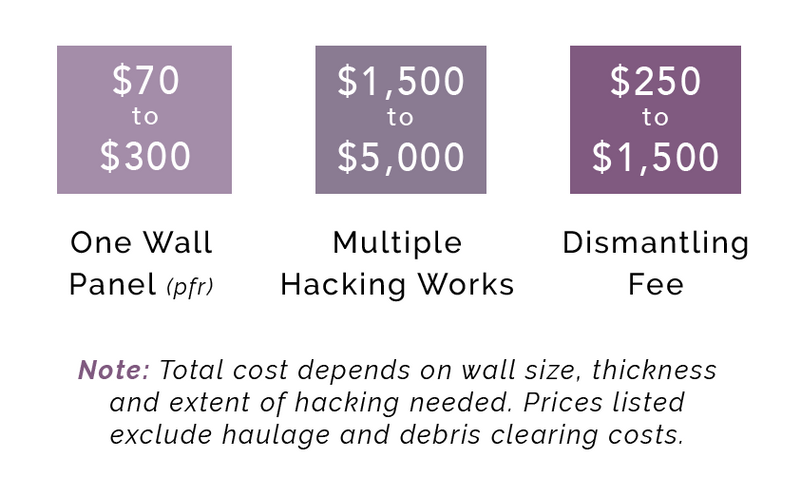 Half-hacked walls are even more expensive than hacking down the entire wall! They are more labour and material intensive as the wall will be fully hacked, and then built up to half size. 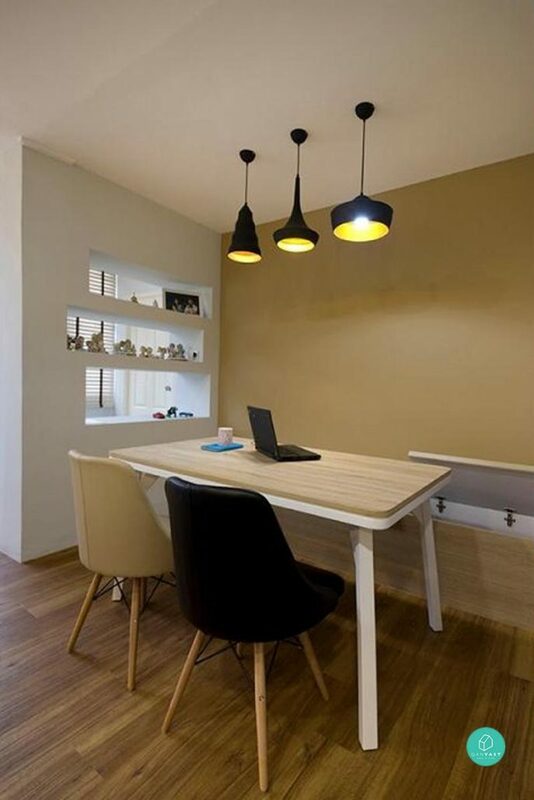 All that can really pile on costs – but of course, hacking in general is costly work, so if you’re tight on budget, try keeping your walls intact. Taking a significant portion of your renovation budget, the right flooring material and finish can define your home’s overall look. 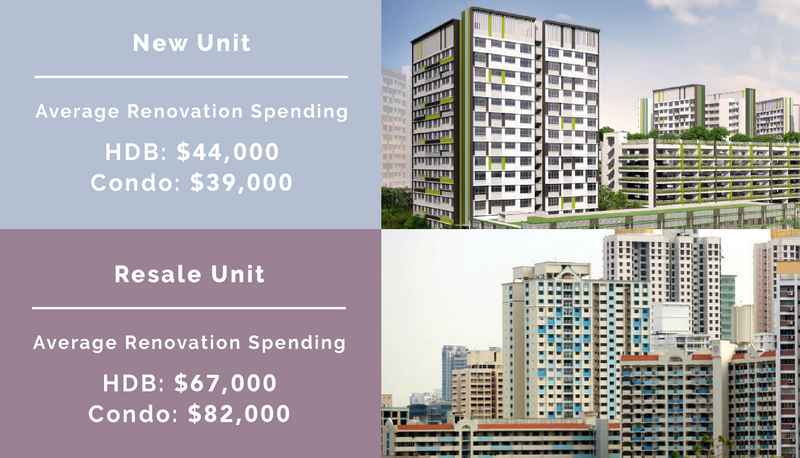 With so many choices to choose from, we wonder, what’s the most cost-effective? Vinyl flooring, say both William and Eric. 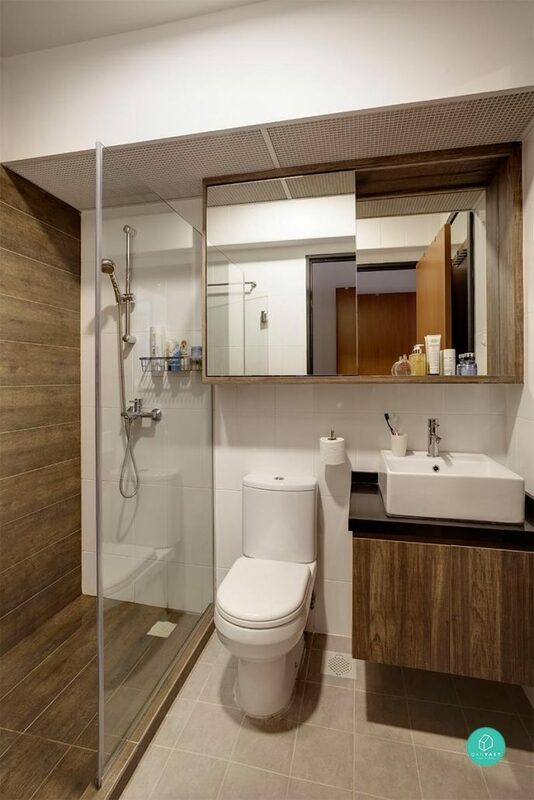 While it does have a plastic feel, vinyl is hardy and waterproof – perfect for wet areas. If you don’t plan to spend much on flooring at all, William suggests grinding or polishing your existing flooring for a sparkly new look. And while we’re at it, the best part about vinyl flooring is that they can be overlaid on top of existing tiles! As you’ll know by now, hacking is expensive, and that’s even more so for wet areas like the bathroom where waterproofing works are needed. Opting for built-ins with a unique design and silhouette are sure to make a statement at home – and on your bank account as well. “Odd shaped, circular or highly detailed carpentry designs require a lot of workmanship and are understandably more expensive,” explains Eric. For a more pocket-friendly choice, opt for built-ins that have a clean, linear design. Otherwise, cut down on your built-ins in general and install loose furnishings instead. “Also, try to avoid doing carpentry on your ceiling, like making a faux exposed beam”, advises William. Not too particular on what your interior theme should be? Then pick the ever-affordable – and popular – Scandinavian style. Here are three reasons why it tends to come at a lower price point: 1. Clean, simple lines and carpentry are key (point 6! ), 2. Emphasis on loose décor and furnishings, 3. 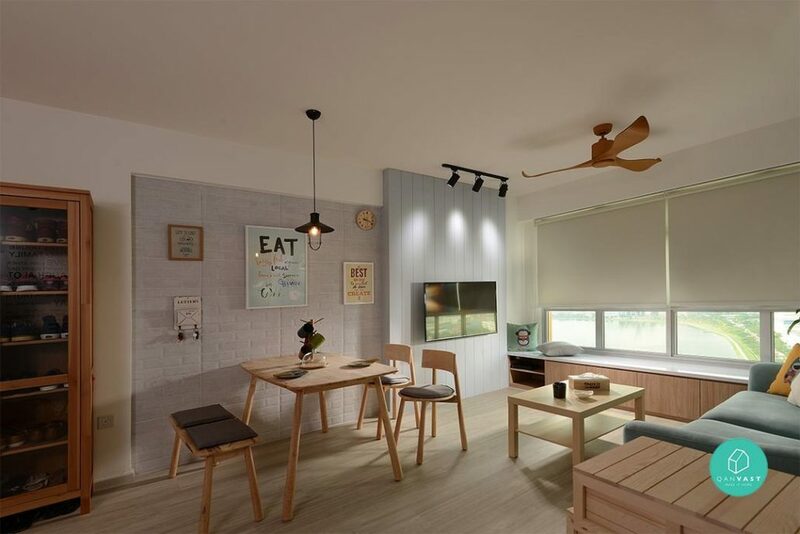 Lots of affordable Scandinavian furniture available (think Taobao and Castlery). No fuss, easy to maintain and doesn’t burn a hole in your pocket; paint’s the ultimate choice for anyone on an ultra-tight budget. 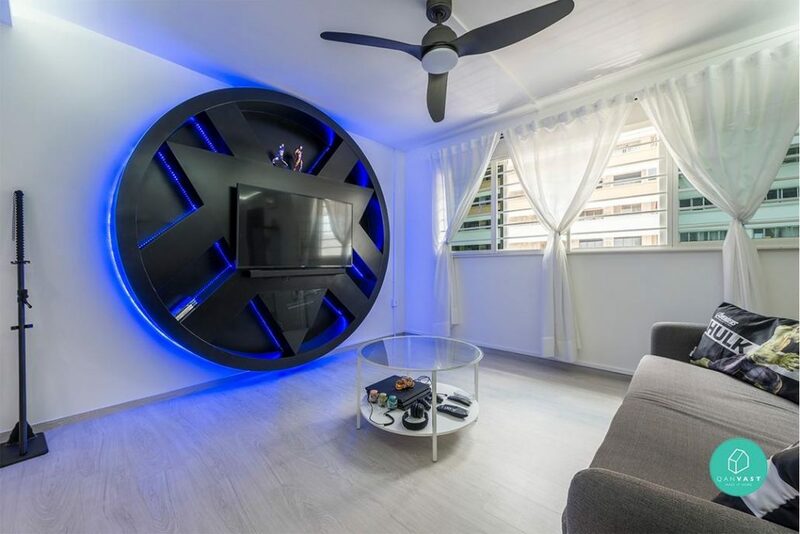 “Instead of spending thousands on troublesome wallpapers or fancy craftstone, homeowners can simply top up another a couple of hundreds on their painting package for a unique painted graphic wall.” recommends Eric. “We are all for the bright and airy look, but lighting (and electrical works in general) can add up to a princely sum during renovation and after in terms of electricity bills,” says William. Recessed and cove lights can really break the bank, with all the workmanship required and lighting components used. Try cutting down on the number of lighting points and swapping them for these tricks to bring in some natural light. Use mirrors and glass panels near windows to reflect light to the rest of the space as it bounces off. Use lighter wall colours like white and cream to brighten up your interior. 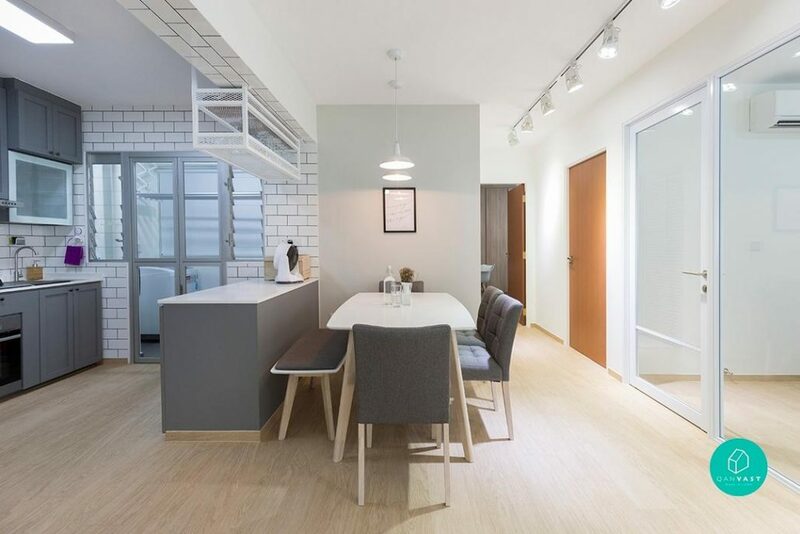 Embarking on your renovation alone may not be the best idea – one misstep or hiccup could cost you thousands to rectify. Why not engage a reliable expert who can advise you on all things renovation, and help you with project management? 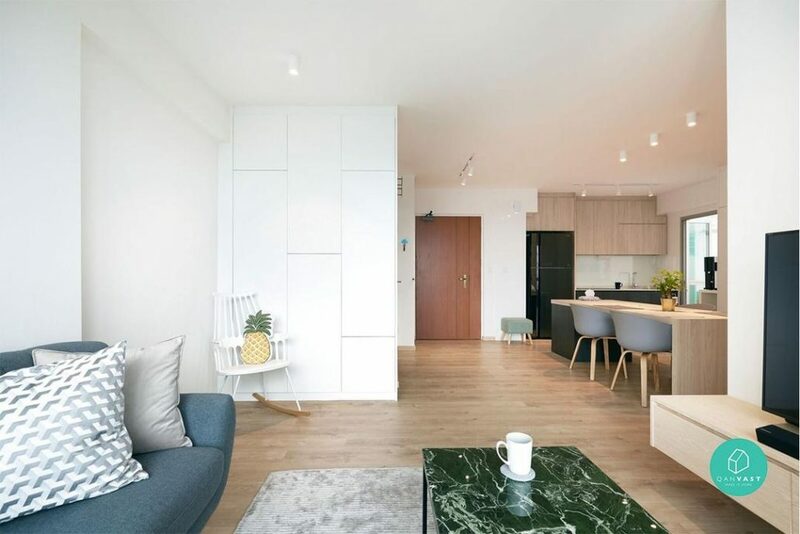 Simply drop in a quote request to Qanvast, and they will connect you with 5 interior designers that fit your style and budget needs. All recommendations are covered under the $50,000 Qanvast Guarantee. To get a realistic idea of how much you should budget for your renovation, use Qanvast’s Renovation Calculator, which is backed by data from over twenty million dollars worth of local home renovation contracts. All statistics are accurate as of July 2017. 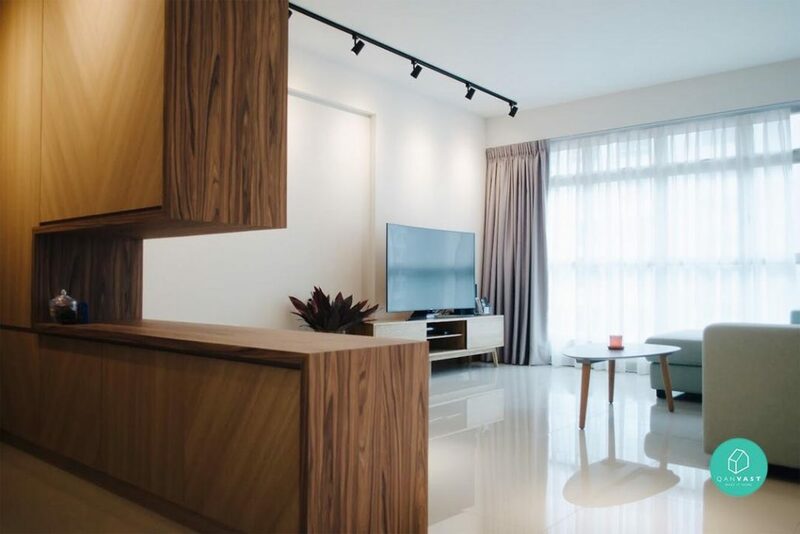 This article was contributed by Qanvast, a local interior design platform for homeowners passionate about their home design. 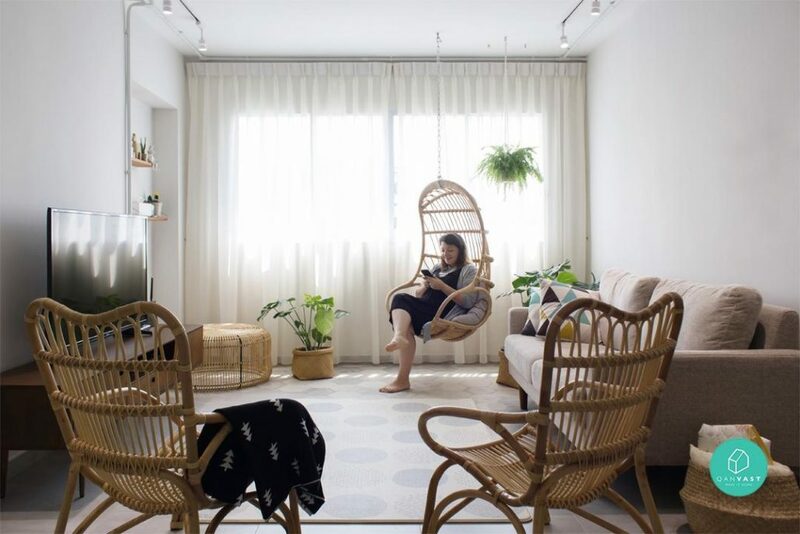 Download the free app to get inspired by thousands of local home ideas and connect with interior designers.